The following policy applies to individual session purchased tickets. Please note that this policy does not apply to any tickets issued on a Complimentary or Trade basis. If the tournament or a session(s) is postponed or cancelled due to weather or other causes beyond our control, Tournament management will make every effort to reasonably accommodate the individual session ticket holder on a subsequent session, if held. Subsequent session to be determined by Tournament management. 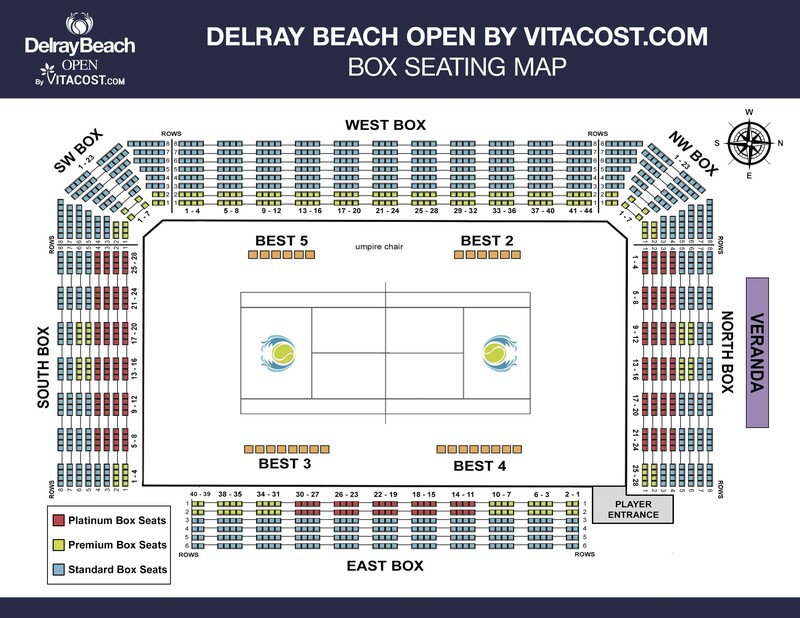 The Delray Beach Open by VITACOST.com cannot guarantee ticket availability, exchange of equal value or comparable seat location. All ticket exchanges are final, and there will be NO REFUNDS OR CREDITS. In addition, patrons are advised that the event Schedule of Play is subject to change for all sessions. Tickets are not eligible for refund or exchange due to one or more changes in the Schedule of Play. Rain delays could last 15 minutes or a few hours. Once it stops raining, it could take 30-45 minutes for the courts to be dried depending on the amount of rain received. Pay attention to local weather forecasts and radar to track any inclement weather that may develop. 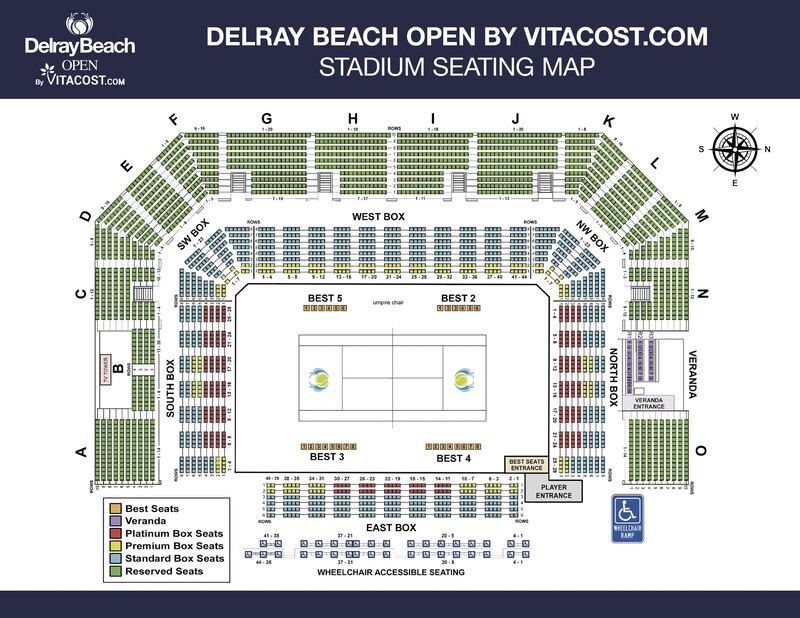 Announcements and rain-delay updates will be made in the Stadium Court and on our video boards located throughout the site, as well as on our website. 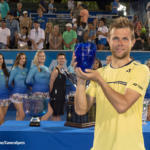 However should a session be OFFICIALLY called due to weather, the tournament will announce on Stadium court and on its Official Tournament Website what subsequent session(s) that the individual will be able to exchange these tickets for. The tournament will do our best to get you an equal value ticket for this/these specific sessions announced (seating not guaranteed).